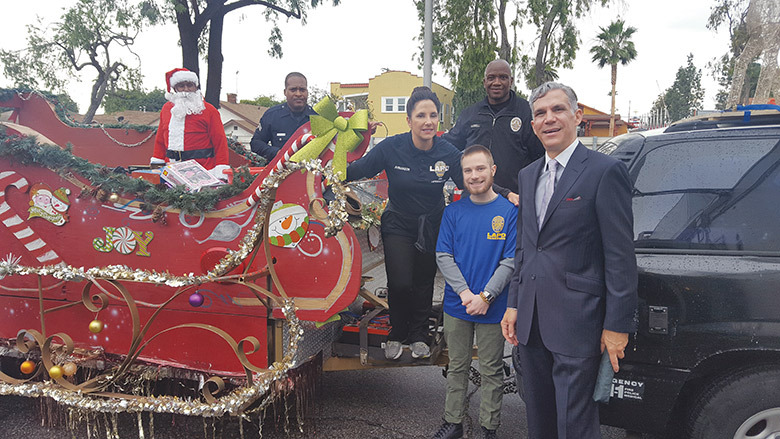 On December 21, 2016, I had the pleasure of helping Santa hand out gifts in the southwest area of Los Angeles. 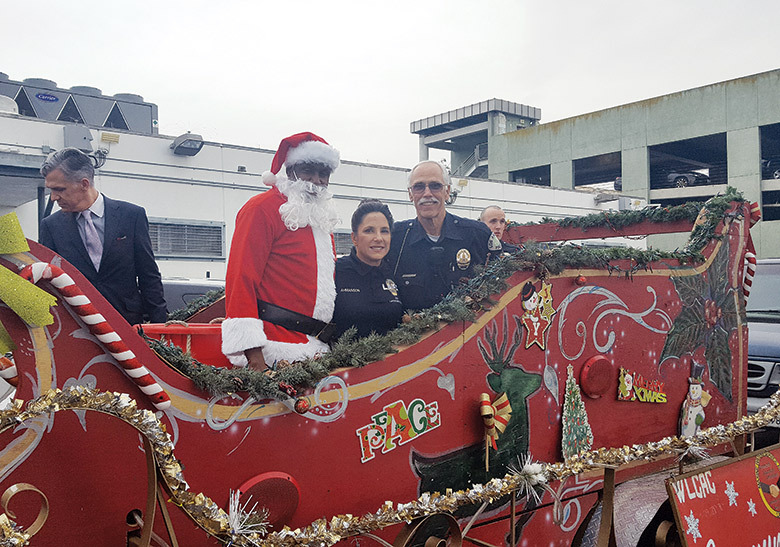 LAPD’s Southwest Division, partnering with the Los Angeles Police Reserve Foundation, arranged for Santa in his sleigh to distribute toys to the kids in the neighborhoods surrounding the station. 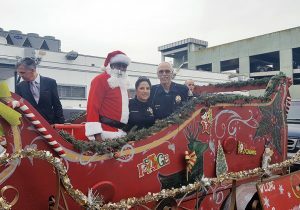 Santa was worried that the reindeer might find Los Angeles traffic difficult, so LAPD was kind enough to let him use a black-and-white Suburban to pull the sleigh. In addition, the lights and sirens of the black-and-white helped to alert the kids that something was happening, as this was to be a surprise visit. The kids enjoyed getting the gifts, but it was those of us who volunteered that day who really got the best gifts of all. Volunteering offers vital help to people in need, worthwhile causes and the community, but the benefits can be even greater for the volunteer. Giving in even simple ways can help others while improving your health and happiness. Helping others helps you to connect to the greater community; it allows you to experience something larger than yourself. It was certainly true for all of us on December 21 that by giving, we received.